Picross 3D, the puzzle sequel set for release from Nintendo next week, will have a lot of content, content that keeps coming out. This is becoming something of a Nintendo — and game industry — trend. 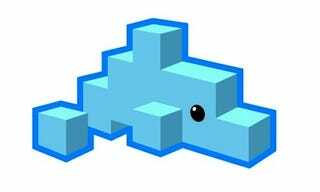 A Nintendo rep showing Kotaku the Picross 3D game yesterday said that the cartridge for the game will contain more than 365 puzzles. An additional 200 will be doled out for download, at a rate of about five a week. Picross 3D is a puzzle game based on the idea of chiseling a 3D shape from a block of cubes, using numbers marked at the sides of the exterior cubes as clues to which blocks should be retained and which should be zapped away. The Nintendo game also will allow users to draw their own puzzles, sharing them with friends and uploading them to enter into themed contests administered by Nintendo. Winners of those contests will be downloadable by other gamers. This is the second Nintendo DS game this year to offer a significant amount of post-release content. Last month's WarioWare D.I.Y. encouraged and enabled gamers to make their own WarioWare micro-games and share them online. The WarioWare and Picross 3D content plans appear to align Nintendo a little more closely with companies such as Electronic Arts and World of Warcraft development studio Blizzard, as well as Facebook and iPhone game developers, all of whom have expressed economic and customer-satisfaction reasons for releasing free content to consumers of their games well after the game is purchased.